Yin Yoga is one of the many types of Yoga practices available. In some quarters, Yin Yoga refers to the balancing type of practice for the Yang style. Known to benefit the joints instead of the muscles, Yin Yoga is a great practice if you like something mellow and less rigorous. 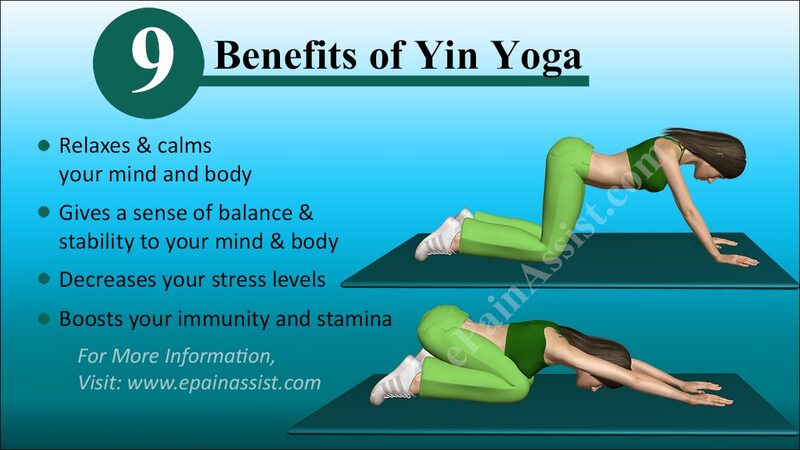 Like any other types of yoga, Yin gives you the same objectives accordingly. What it does is that it helps to channel the stimulation deeper than the conventional practices. Yin is better known for its balance between Yang and Yin. You can assume that the yoga practices involving your muscular tissues are Yang yoga. In this context, Yin yoga balances it. The idea behind Yin yoga is that it targets the connective tissues of your body. This simply means that it will benefit the bones and ligaments and parts that are usually ignored, particularly the asana yoga styles. Yin Yoga is very good for students of all levels. Emphasizing in internal heat, it focuses very much on the muscle movements, most particularly in the contracting and lengthening of these organs. As such, you will notice significant changes to your lower spine, pelvis and the hip areas. This yoga practice can be more passive or softer than the usual styles. Because of that, it can be deemed too slow or boring. The duration of the poses can be quite long and it can last from 1 to 30 minutes in a single pose. Once you start on this, you will realize there are so much more to Yoga than the Asana styles you have come to be accustomed to.